When Kiehl’s first launched its Ultra Facial Cream in 2006, it became an instant hit as the “ultra hydrator” that provides needed replenishment throughout the day, by absorbing moisture from the air for continuous comfort and moisture-balanced skin. Inspired by the adventure-testing heritage of Kiehl’s, the Ultra Facial Cream is iconic for providing 24-hour hydration in a lightweight and non-greasy texture – a perfect everyday use facial regime that has over 70 international beauty awards, with some 10 jars sold globally per minute. Today, Kiehl’s number one global bestseller itself is given a facelift, so to speak, with a newly revamped, and ultra clean version of the Ultra Facial Cream, with a new formula that leaves facial skin 2.3x more hydrated than before. Since the original Ultra Facial Cream launched over 13 years ago, customers’ preferences towards certain ingredients that make up the facial cream have changed. Although extensive research spanning decades has confirmed that the preservatives – namely, Parabens – in Kiehl’s portfolio are safe at the concentrations used, Kiehl’s chemists are aware of the growing concern around it and the likes of Carbamide (also known as Urea, an exfoliator that can irritate the skin), and the pH balancer T.E.A could be considered sensitising. From the mid-2000s onwards, Kiehl’s has made the decision to develop all new formulas without Parabens, working towards a Paraben-free portfolio for all its products by the end of the year. 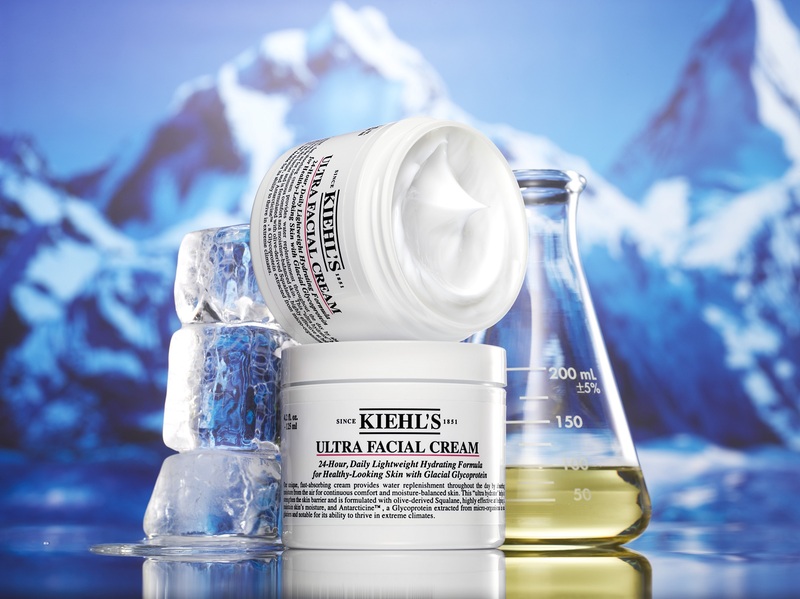 Given the global popularity of the Ultra Facial Cream, it was Kiehl’s most challenging reformulation to tackle yet. Kiehl’s chemists have taken extra care with product reformulations to ensure that users of the existing formula do not feel like that application experience is compromised; it has taken 114 formulation trials, over five years to create a formula that matches the experience, performance and safety of the original product – before Kiehl’s finally pulled through. The new formula for the Ultra Facial Cream consists of Glacial Glycoprotein that derived from sea glaciers to protect and deeply hydrate, while preventing water loss from the skin, and Olive-Derived Squalane, a highly refined moisturising oil that strengthens and restores skin’s moisture barrier. It was tested on panels of multiple ethnicities and sensitive skins, as well as clinically demonstrated to hydrate all skin types, including the sensitive ones through the Kiehl’s centric testing platform, a comprehensive hydration test that demonstrates improved quality of hydration across every zone of the face. A Corneometer study that runs in extreme low humidity setting, it enables the chemists to examine up to 60 points of measurements upon the face, in which the results are brought to life via a 3D facial map, showing improved hydration results and even coverage; typically, standard clinical testing only measures one location on the face, providing an incomplete picture of a consumer’s hydration needs. This modern technology behind Kiehl’s centric testing platform has enabled the chemists to ensure comfortable hydration, including for those in the drier areas of the skin, achieving the aforementioned 2.3x hydration feature, leaving skin even softer, even smoother, and visibly healthier looking than ever before.